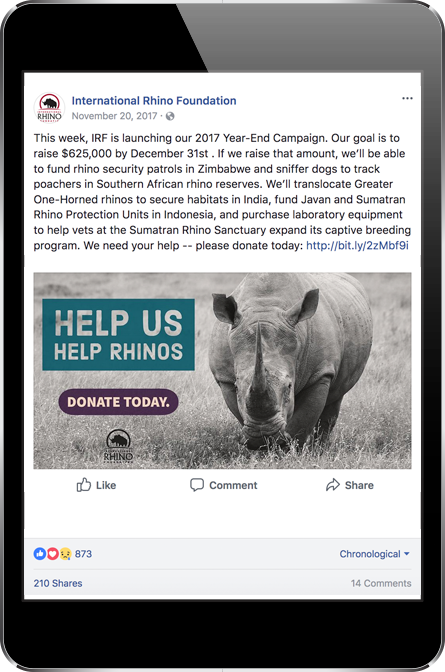 The International Rhino Foundation Created a Powerful End of the Year Fundraising 2017 Campaign with Salsa Engage that Brought in Hundreds of Brand New Donors. 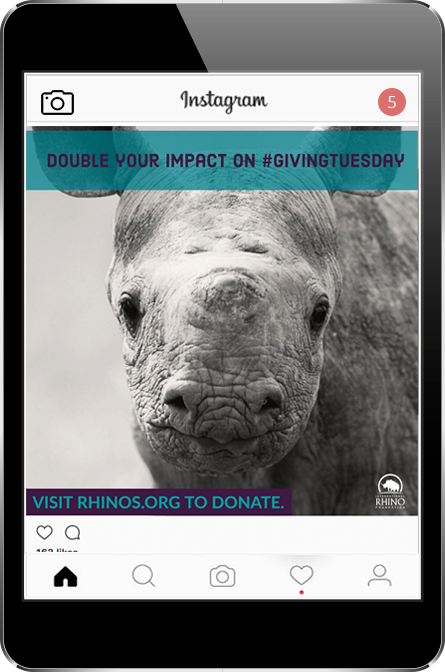 During the International Rhino Foundation's first year with Salsa, they created a powerful End of the Year Fundraising 2017 campaign that brought in hundreds of brand new donors. Kelly Russo, the Communications Manager, and Gloria Goeres, the Operations Manager, executed their strategic marketing plan flawlessly using Salsa’s online fundraising tools. 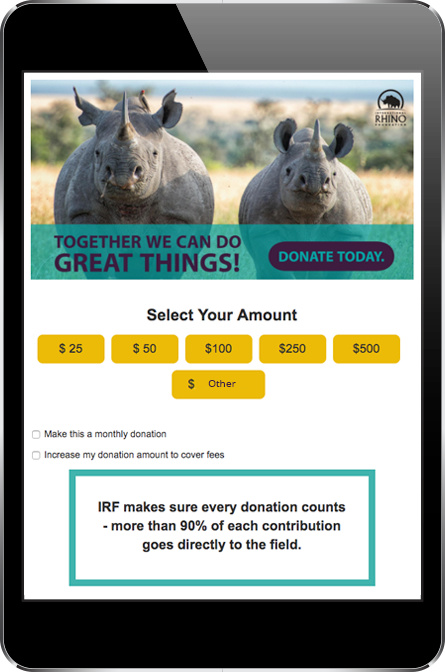 First, they built a compelling donation form and embedded it into a page on their website, rhinos.org. This made it easy for organic and direct web visitors to find the page and give! Next, they promoted the page on all of their social media channels and sent out a series of newsletters each week starting the week of #GivingTuesday. 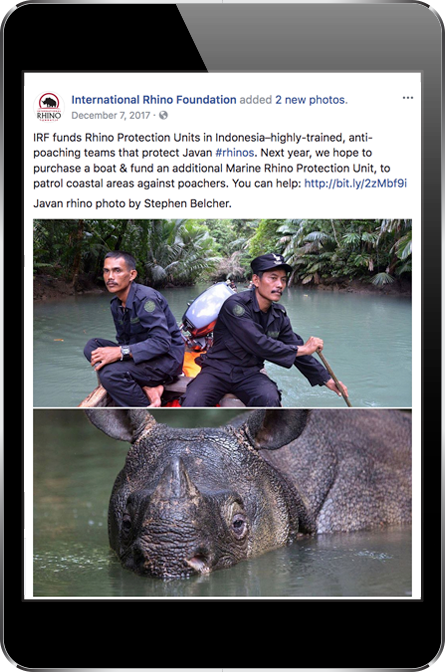 Each newsletter focused on a different rhino species and shared success stories of how IRF is helping them survive and thrive. They also leveraged Facebook and Instagram Ads to further their reach! In the end, their hard work paid off. IRF sent all of their email and social outreach, collected all of their online gifts, and thanked all of their donors in one place, Salsa Engage.  They reached a wider audience than in years past and attracted 400+ new supporters. Not only did they surpass their 2016 End of Year Campaign haul of $606K, they exceeded their 2017 goal of $626K. IRF plans to use the funds for anti-poaching and ranger protection efforts.